Open since February 2014 Kandolhu Island has captivated the hearts of many and is now currently ranked as the 2nd top getaway in the famed island nation of the Maldives. This year marks the second anniversary of the tiny heart-shaped island but what really contributed to this spectacular glory? With just 30 intimate villas, 4 gourmet restaurants and a house reef with resident turtles swimming around, how can you not be convinced? A member of the prestigious Small Luxury Hotels chain, Kandolhu Island provides a luxe but laid-back experience. This Maldives hotel offers bespoke services, tailor-made with an added flavour of warm hospitality. 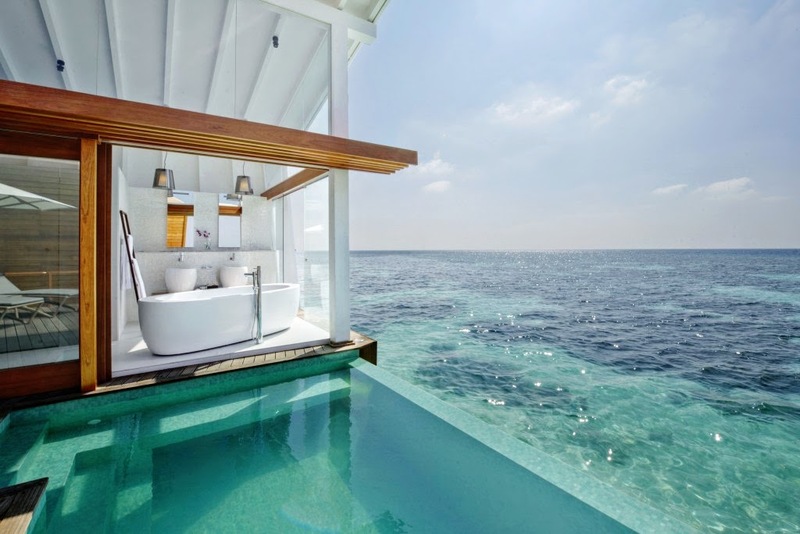 Out of the 30 villas presented in 5 unique categories, the Ocean Pool Villa stands out as the iconic face of the resort with its signature glass bathroom. The villas are all fitted handsomely with designer brands from Switzerland, Germany and Italy. A spaciously sized sundeck views out to the array of corals splayed in the ocean with fiery sunsets visible during the evening. 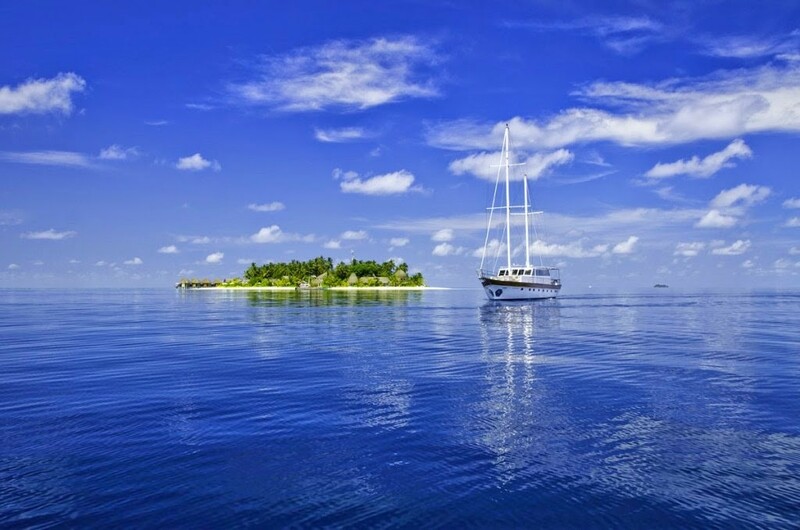 Come evening board the magnificent Ari Explorer, a luxurious 50-metre vessel, and enjoy canapés served with champagne. The skipper drives into the infinite ocean as wisps of scarlet and orange colour the translucent clouds in the sky like canvas.